A fine new print with a message of hope from Amsterdam's aerosol poet of the street, Laser 3.14. 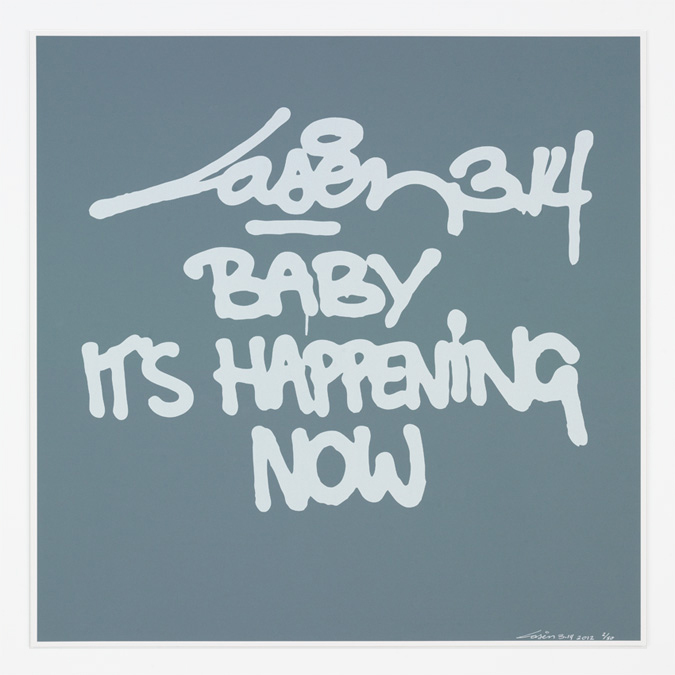 "Baby It's Happening Now" is lovingly silkscreened on Somerset 300 gsm high quality paper, size 50x50cm and ready to adorn your wall. Limited to an edition of 50.